Executive Officer and publisher of Ovation International, a magazine that has given publicity to people from all over the World, mainly in Africa. He also owns a restaurant in Ghana known as the House of Ovation. On 19 December 1992, Dele Momodu got married to Mobolaji Abiodun Momodu on December 19, 1992 and they are blessed with four children known as Pekan (1994), Yole (1996), Eniafe (1997) and Korewa (2004). His name Ayobamidele, which means "my joy has followed me home" is the last of three siblings. He lost his Dad at the age of 13 and had his Mum and relatives to support him. His Mum, who died on the 18th of May 2007, taught him never to despair even when times were tough. This was exemplified by her continual support of him even when others had written him off. She had given him up to a third chance at passing his WAEC ( Senior Secondary Exams ) Although his Mum's source of income was from petty trading, and with two older children to care for, she laboured hard to sustain her family, and in the words of Dele Momodu "She didn't give up on me"
Dele Momodu studied at the University of Ife, (now Obafemi Awolowo University(OAU), Ile-Ife) in 1982 where he holds a degree in Yoruba and a master's degree in English Literature in 1988. During his National Youth Service, Dele Momodu lectured at the Oyo State College of Arts and Science in Ile-Ife, between 1982 to 1983. Then Between 1983 to 1985, he was private secretary to the former Deputy Governor of Ondo State, Chief Akin Omoboriowo. In 1986, Dele Momodu served the Ooni of Ife, Oba Okunade Sijuwade Olubuse II, managing the Motel Royal Limited owned by the monarch. Following Dele's resignation from the Motel Royal, he went on to study for his post-graduate degree in English literature. He was during this time contributing articles to the likes of The Guardian, Sunday Tribune and other Nigerian-based publications. In May 1988, Dele Momodu got his first job as Staff Writer with the African Concord magazine, owned by late Chief Moshood Kashimawo Olawale Abiola. A year later, he was transferred to Weekend Concord as a pioneer staff. He wrote the first cover story for the paper in March 1989. He also contributed to other publications such as the National Concord, Sunday Concord, Business Concord and the Yoruba newspaper, Isokan. In May 1989, he became Literary Editor, within six months he became News Editor of the Weekend Concord. Between May 1990 and September 1991 edited May Ellen Ezekiel's Classique, a celebrity magazine an appointment which made him the highest paid editor in Nigeria. He resigned and tried his hands on doing business as a bread distributor for his mentor Chief Moshood Abiola, who owned the 'Wonderloaf'. Following this, Dele Momodu started a public relations outfit, Celebrities-Goodwill Limited, which managed the accounts of Chief Moshood Abiola, Dr Mike Adenuga, Mr Hakeem Belo-Osagie and other distinguished Nigerians. Dele has received innumerable awards and honours, and has garnered recognition for his work in the world of business, politics, literature, the music industry and the fashion industry in which he plays major roles. Tiwa Savage, one of Nigeria's most popular singers has credited Momodu for giving her career a kickstart by putting a picture of her in Ovation International after he was invited to a spectate a talent show in her school. Dele Momodu has been seen at many social events and has now become an international household name. Dele writes a weekly article called PENdulum. They are published every Saturday on the back page of Thisday newspaper. The articles are praised for highlighting issues in Nigeria, as well as discussing popular topics, current events and famous people, often in a polemic/critical style. And was a prominent voice for the APC presidential Candidate at the 2015 general election in his country, Nigeria. In 1993, Dele resigned to join the Moshood Abiola Presidential Campaign Organisation, Dele Momodu was arrested and detained at Alagbon Close in Lagos, after the annulment of the June 12, Presidential election by General Ibrahim Babangida. He was severely punished for his views but was undeterred. He was to be arrested in 1995 and charged for treason by the Sani Abacha Government. He was accused of being one of the brains behind the pirate radio station, Radio Freedom later changed to Radio Kudirat, after the cold-blooded murder of Alhaja Kudirat Abiola. Dele Momodu managed to escape masquerading as a farmer through Seme border into Cotonou, in Benin Republic, from where he fled to Togo, Ghana and eventually to the United Kingdom. For three agonising years, Dele could not re- enter his homeland, Nigeria. He has since been absolved of all charges made by the Abacha administration. 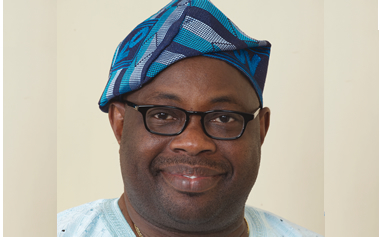 Dele Momodu started Ovation International in 1996 while still in exile. After the death of MKO Abiola in prison and subsequently, the death, Sani Abacha, Dele ended his exile. Since then, Dele has expanded Ovation International, and it is now one of Africa's most popular celebrity magazines. Ovation International is also reputed for being the only bi-lingual magazine in Africa, having editions printed in both English and French. Dele Momodu has held an annual event every year since 2008 (except in 2010, due to the impending presidential elections), known as the Ovation Red Carol (later changed to Ovation Carol and Awards). The Red Carol is held every December, and has become one of West Africa's most popular annual Christmas events, often involving musical performances, drama, fashion shows and award presentations for varying charitable causes. From 2008-2012 it was held in Lagos, Nigeria, but was held in Accra, Ghana in December 2013. In 2013, former president of Ghana J.J. Rawlings attended, with Wyclef Jean as the headline act, along with many other international performers, including M.I, Ice Prince and Burna Boy from Nigeria. Dele Momodu announced his intention to run for the presidential election of his homeland Nigeria, which was held in 2011. On 12 January 2011, he emerged Presidential Candidate of the National Conscience Party (NCP) after a keenly contested party primaries between him, Chief Martin Onovo and Atei Beredugo. Dele Momodu polled 169 votes to clinch the presidential ticket of his party, whilst Onovo and Beredugo polled 8 and 14 votes respectively. He however lost. In an article he wrote before the 2015 presidential elections, Dele Momodu predicted how votes will be shared between a former Head of State, Gen. Muhammadu Buhari, and the incumbent President Goodluck Jonathan come 2015 presidential elections in Nigeria. According to the Momodu, if Nigerians are asked to elect their president today, Buhari would defeat President Jonathan mercilessly. “Fellow Nigerians, time changes everything indeed. In 2011, I would have said worse things about General Muhammadu Buhari. In truth, I actually wrote Buhari off completely, not without cogent reasons that I considered valid and relevant at that time. The first was that Buhari was too old to lead us. I was biased by the Obama Presidency and the emergence of David Cameron in Britain. I felt Buhari as a former dictator should be totally expunged from the race. I was also brainwashed by the relentless propaganda that he was a religious fundamentalist of the worst kind. If I was good in Fine Arts, I would have painted him in the lurid and monstrous image of Lucifer. That was how bad it was. Trust me, I’m supposed to be one of the most liberal and tolerant human beings but it was just difficult for me to accept Buhari as a Presidential candidate at this time and age. I nearly clashed with my dear friend and brother, Simon Kolawole, after reading an article he had penned on Buhari and practically endorsing him at that time. I was so livid that I did not wait for Simon to get out of church before I started bombarding his lines with frenetic calls. When he eventually got back to me, and in his usual humble manner said “Egbon, I missed your calls, hope all is well?” I responded that all was not well as he had spoilt my appetite and breakfast that morning with his effusive praise of someone I considered a red-faced tyrant. 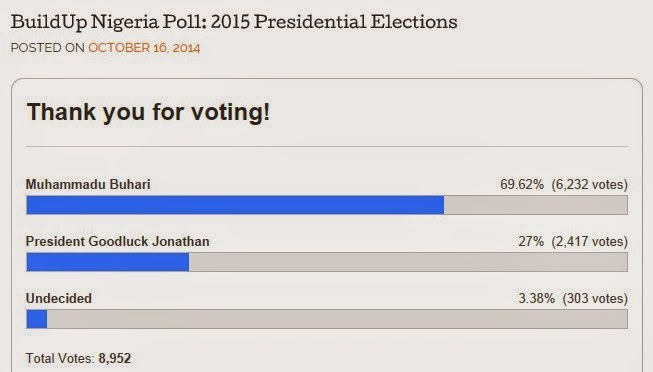 So far, in all 2015 Opinion polls, Buhari is beating Jonathan mercilessly. Without doubt, Buhari is a modern-day wonder. The story of his life is a stuff of thriller novels. In a country where money fixes most things and people, how did he manage to control the bodies and souls of his fanatical supporters? What is it that makes him such a dual personality that draws so many people to him while others withdraw as if to run away from a victim of Ebola? What can Buhari do or achieve at his age in this modern world where life itself has become computerised? I suffered from this interior monologue for a long time. Some of my fears started evaporating one night in Abuja when I was invited over to meet him at the instance of Prince Lanrewaju Tejuoso, one of his godsons. I was dazed at the ease Prince Lanrewaju was able to get him to meet with me at such short notice. I was impressed that there were no intruders during our heart-to-heart talk. Perhaps, because he had no money to share, the usual parasites crawling all over the corridors of power were not in sight. He spoke calmly but firmly. He had this childlike innocence around him. It was difficult to imagine this man sitting across me could hurt a fly even as a soldier. There were no airs around him or chips on his shoulders. What you saw was what you got; take it or leave it. Many had confessed to similar reaction upon meeting him. We took pictures together without much ado. And I actually found him more charismatic than my jaundiced eyes could have permitted. What I saw was that raw Fulani beauty and handsomeness. I and my aides left the place liking him a bit. Of course the election came as usual and Dr Goodluck Ebele Jonathan trounced Buhari mercilessly. But most of us got so carried away that we failed to appreciate how well the man had performed against all odds. Here was a man without loads of cash. He didn’t have a preponderance of powerful Governors behind him. He could not mobilise so many billionaires to fund him. He lacked the power of incumbency. He could not secure the much needed coalition with ACN at the time. Many Christians saw him as Satan on earth. Many youths considered him too old. The super-rich saw him as the sword of Damocles dangling over them. All the odds were stacked up against him. Yet this poor man, as I like to describe him, recorded a whopping 12,214,853 votes while President Jonathan scored 22,495,187 votes. Let’s break it down into simple Maths. Jonathan had a good spread scoring 25% or more in 31 States. Buhari managed to score 25% or more in 16 States and yet got a cumulative result of over 12 million votes. A good Mathematician should be able to help us here because I wish to show our President’s handlers that they will pay heavily for complacency if they assume and take it for granted that they can beat Buhari easily like PDP had always done in the past. Let me explain it further. A man who won the mandatory 25% in about half of the States secured by the President still went ahead to poll over half of what the President got. Now this is the trickery part. Let me begin with the most obvious. Buhari had only 37.96% in Adamawa while Jonathan had 56%. The registered voters were 1,816,094 but the voter-turnout was a miserable 49.98%. With the way the country is right now, PDP would require a miracle to win Adamawa with a landslide. If Buhari secures the APC ticket, it is almost certain that he would clean up that State. And in case the voters turn out much bigger, it means that State can wipe off some of the deficits Buhari suffered in 2011. The two leading parties can still jerk up about one million extras which won’t be a bad idea even if PDP still gets 25% or more. Let’s walk across to another interesting State, Bauchi where Buhari recorded 1,315,209 against Jonathan’s 258,404 despite the avuncular presence of PDP Governor, Yisa Yuguda. The registered voters here were 2,523,614 but only 1,610,094 voters chose to vote with nearly 1,000,000 voters hibernating somewhere. I hope you’re patient enough to follow this Maths lesson. Benue would certainly be a major battle ground this time for the candidates because the State has over 1.3 million voters (out of a total registration of 2,390,884) buried somewhere for the strongest candidate to resurrect. Here ethnicity and religion would play critical roles more than ever before. It is presently a virtual PDP State with Jonathan polling 694,776 against Buhari’s 109,680 and ACN (Nuhu Ribadu) 223,007. Benue had always been a State of enlightened voters and it may swing in favour of a serious candidate. Let’s keep moving and find somewhere to land in the troubled spot of Borno State. This is a treasure ground with 2,380,957 out of which more than half of the voters have absconded and vanished into thin air. In 2011, Buhari 909,763 against the President’s humble 207,075 votes. Now this State is under fire but is NOW largely controlled by the new alliance known as APC. Let’s saunter across to Gombe where Buhari scored 459,898 against Jonathan’s 290,347 votes out of a total registration of 1,318,377. All the parties combined recorded 770,019 voters. The implication of this is that if this State decides to be generous, it may dash out about 548,358 votes. We are still moving and scavenging for the votes wherever they are hiding. Let’s say some quick Hello to our Brother, Governor of Jigawa State, Sule Lamido, who couldn’t hold Buhari down despite his equally tall physique. Here Buhari polled 663,994 against Jonathan’s 419,252. Total votes cast came to 1,140,766 out of 2,013,974 total registrations. Do not say I told you, this State has some 873,208 unseen registered voters probably perambulating as we write. This journey is still long and arduous. Kaduna is a major war zone for the candidates because of its peculiar characteristics. Buhari’s supremacy was hotly challenged as Jonathan polled 1,190,179 against Buhari’s 1,334,244 votes . Total votes cast were 2,569,963 out of 3,905,387 total registered voters. Now wait for the good news of the kingdom; this beautiful State has 1,335,424 voters that it can conjure whenever needed or ready. If you think Kaduna was super, please, wait for the almighty Kano where no serious candidate can play silly pranks with the energetic and fearless Governor, Rabiu Kwankwaso. In 2011, Buhari massacred Jonathan with 1,624,543 against 440,666. The then Governor and Presidential candidate, Ibrahim Shekarau even scored more than the President with his 526,310 votes. The total votes cast came to 2,673,228 out of 5,027,297. In case your Maths is poor like mine, let’s find a calculator before the brains explode. Kano alone can conveniently and benevolently donate 2,354,069 potential voters out of the skies. We finally arrive in Buhari’s homestead of Katsina where he expectedly polled 1,163,919 against Jonathan’s 428,392. It is either many Katsina people didn’t dig their own son, since prophets hardly get honoured at home, or Buhari just didn’t employ artful dodgers to manipulate the votes in his favour. In all, 1,639,532 voters performed their civic duty out of 3,126,898 registered voters. By fire, by force, Katsina on a good day can still conjure some 1,487,366 votes. Please, permit me to fast forward to the State of the Sokoto Caliphate where a floodgate can still be opened. Strangely, Buhari pulled merely 540,769 shots against Jonathan’s 309,057. A total of 909,808 voters came out of 2,267,509 registered voters. No one is able to explain this anomalous situation to us properly but some 1,357,701 unseen voters may decide to show up in 2015. Please, bear with me, you must be getting tired but we need to do this together because of my over-confident friends in Abuja who must have had F9 in Mathematics like me. Let me now give you the shock treatment and take you straight to the biggest theatres of war. I must warn that this not for the faint-hearted. Welcome to the heartbeat of Nigeria known as Lagos State where Jonathan polled 1,281,688 against Buhari’s 189,983 and Nuhu Ribadu’s 427,203. Wait for this, only 1,945,044 voters turned up out of 6,108,069 voters. In effect, Lagos can, in its true majesty, produce additional 4,163,025 out of its bag of magic. I wish there was space to display all the figures but it won’t be possible. But let me continue with the random sampling. Many of the States won by Jonathan or PDP or both, depending on why you voted in 2011, are not so easily available at this time. Take Oyo for example under the control of APC beyond the next Presidential election may prove too tough to handle. Only 863,544 out of 2,572,140 voters appeared in public but we don’t know the whereabouts of 1,708,596 potential voters. Ogun State is another interesting territory where 543,715 people voted out of 1,941,170 who registered to vote. Meanwhile, the largest turnout of voters was recorded in areas controlled by Jonathan but let’s examine the figures. Abia has used up 1,188,333 out of 1,524,484; Akwa Ibom 1,232,395 out of 1,616,873; Anambra 1,157,239 out of 2,011,746; BAYELSA 506,693 out of 591,870; Cross River 726,341 out of 1,148,486; Delta 1,398,579 out of 2,032,191; Edo 621 out of 1,655,776; Ebonyi 502,890 out of 1,050,534; Ekiti 261,858 out of 764,726; Enugu 814,009 out of 1,303155; Imo 1,409,850 out of 1,687,293; Kwara 414,754 out of 1,152,361; Ondo 486,837 out of 1,616,091; Osun (lost by Jonathan) 512,714 out of 1,293,967; Rivers (the largest State in South South) 1,854,116 out of 2,429,231 and so and so on. This should give you a fair representation of what is at stake in the 2015 election. Politics is not exactly Maths but it is still a game of numbers. Those who think an incumbent President cannot be defeated should wake up from their self-induced coma. The mood of the Nigerian nation is very similar to that which swept Obama into power. Lagos and Kano combined account for 11,135,366 registered voters out of a grand total of 73,528,040. Only 38,199,219 people voted in all the States. There are 35,328,821 floating somewhere. Most of them are comfortably resident in APC States. My free advice to the Jonathan campaigner is simple; stop projecting our President as a sectional leader whose only qualification is where he comes from. Stop raining insults on Northerners and avoid maligning innocent Muslims. The religious card you wish and hope to play will never play out in favour of President Jonathan. You should concentrate on projecting the positive work and his Transformation Agenda. A President is the father of the nation. A lot of damage has been done by portraying him as a victim who’s derided by everyone except his own.